Hyrum had his best year of school ever. He learned that he's an organized, independent learner who loves to read, and much of that can be credited tot his amazing third grade teacher, Mrs. S. She is one of my all-time favorite teachers, and the way she guides her little flock every year is incredible to watch. Just wish I had a picture or two from his cool science project on density and ultraviolet light or his mastery of the schoolyard game of "bulldog." These will have to suffice. 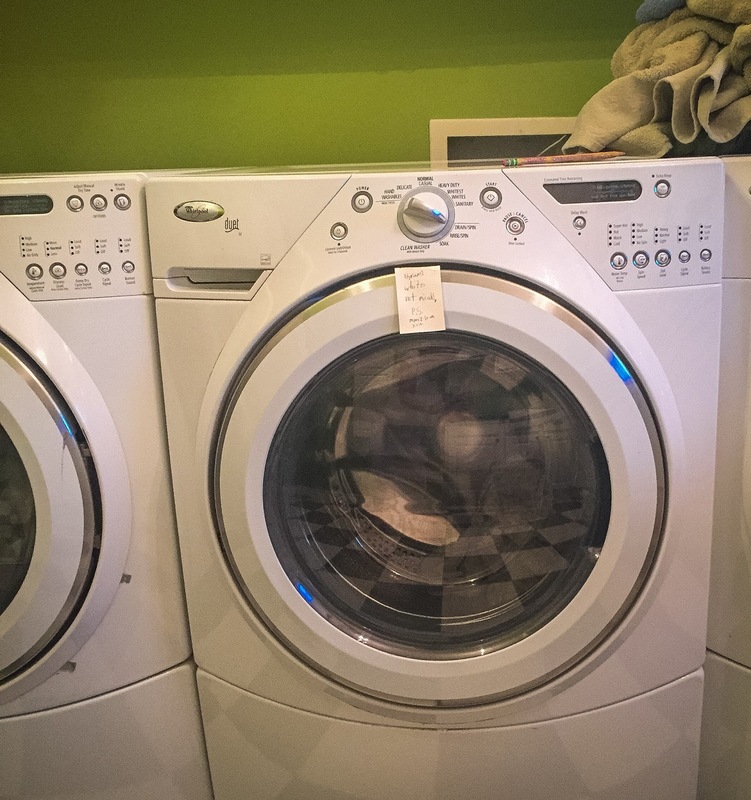 One morning I walked into the laundry room to begin the dreaded task piled on the floor in there, when I saw a note on the dryer. This note is typical Hyrum. He was responsible for washing his white costume pieces that morning, and he wanted me to be sure he'd done it--and not confuse him with his brother. Adding the "Mom I love you." at the end made me smile. That boy is always writing me notes and hugging me and telling me he loves me and thanking me for being his mom. I love that kid. 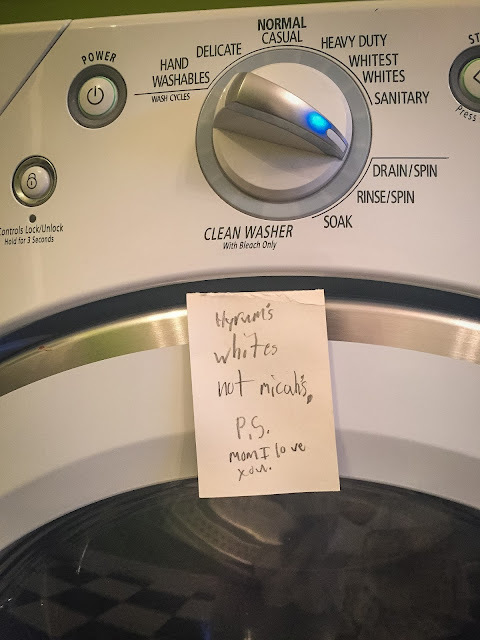 I do need to teach him that the drain/spin cycle, however, will not make his whites any cleaner than they were the night before. 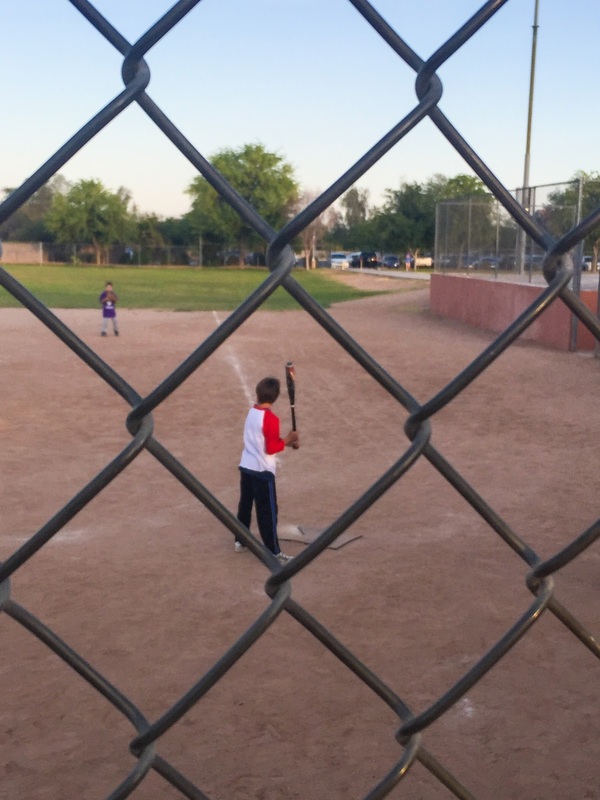 Since school got out, Hyrum's played Primary softball at 5:30 am with his buddies. He's never played organized softball/baseball, but he loves to get out there and chase anyone who runs past with the ball in his glove. He can hit pretty well and had a good time. 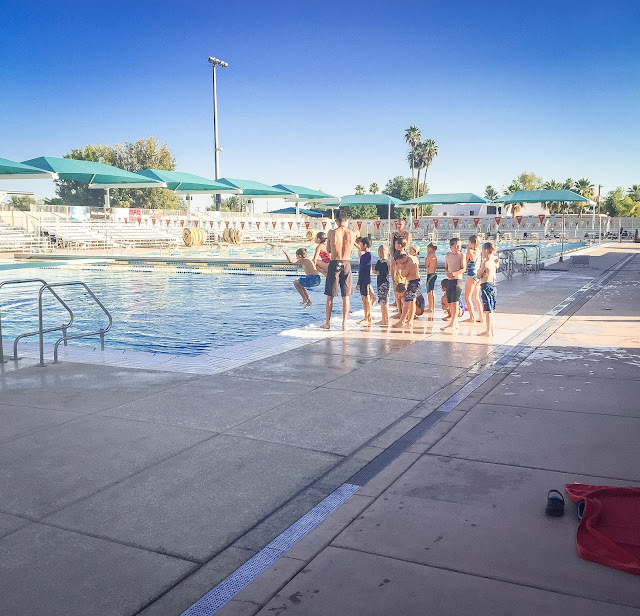 Each morning after softball, Hyrum would change his clothes quickly in the car on the way to diving. It's his first year diving instead of swimming, and he was a little afraid that he knew nothing about it. He's really enjoyed it. I know much of the credit needs to go to his amazing coach, Rachel, who I've known since she was a teeny, tiny toddler. First meet is tomorrow night, and I can't wait to see what he's learned this first week. Baby boy--nine years old. Time marches on.